baby from Brailes to be baptized in the Banbury Primitive Methodist Circuit was Mary, a daughter of Edward and Ann Simms, Plush Weaver in 1842. Edward was also a Local Preacher. The 1851 Census showed that the existing chapel was too small for the growing congregation, but the local landowners were unsympathetic to the needs of the Primitive Methodists. The Circuit Quarterly Meeting of July 1857 asked the Rev H Yeates to hold a Leaders’ Meeting at Brailes to discuss “the unhappy matter with their society.” If this was about their difficulty in obtaining a building plot the outcome was that 6 months later the minister, himself, was asked by the Circuit Quarterly Meeting to negotiate with local landowners for a plot of land on which to build a chapel – again to no avail. So three ladies of the chapel decided to pray for the Lord to provide a piece of land. Mrs Jemima Boyce, a Local Preacher, Mrs Lucy Hughes and one other lady held a prayer vigil. The next morning, Lucy Hughes, who was the Housekeeper at Brailes House, where the Lord of the Manor of Brailes, Henry J Sheldon, J.P., lived was summoned into his presence and told that the Methodists could have a plot of land on College Green opposite the existing chapel. This decision came as a complete surprise because Mr Sheldon had turned down previous requests for land on which to build a larger chapel. No time was lost, and that same morning the land was marked out in readiness to proceed with building a new chapel. The new chapel was built by William Pickering, a Trustee at the existing chapel, a local stone mason and builder at a cost of £319. This was at a time when the average farm labourer’s pay was about 8/- a week. The Trustees were very cautious about the size of the chapel and actually changed the original plans to keep costs down – a false saving as they found it necessary to add an extension a few years later. There was no money left after the building was completed to install an organ or harmonium, so the singing of hymns was accompanied by a violin and clarinet. “The New Primitive Methodist Chapel was opened on Sunday last by Rev J Herridge of Leamington. On Monday a Tea Meeting was held in the New Chapel when about 350 partook of the good things provided, after which there was a Public Meeting presided over by Mr Richard Brazier and addresses were delivered by Messrs Herridge, Platt, Tuck and E Cox. The proceeds of the various services amounted to about £100. Following the opening of the new chapel, there were three services every Sunday and regular Prayer Meetings on weekdays at 5.00am before the men walked to their places of work. Open-air services were also held regularly as were processions of witness through the village. Members of the congregation were exhorted to attend chapel regularly, partake of the Sacrament of the Lord’s Supper and join in the regular Lovefeasts. A Lovefeast was a general gathering of all the members where a simple meal was eaten followed by hymn singing and personal testimonies. Efforts to hold a Sunday School proved difficult as in some villages, including Brailes, children had to attend Sunday School in the Parish Church in order to attend the Church of England Day School. Things improved in 1881 when elementary education became compulsory and the Primitives were able to build and open a Sunday School without their children being sent home from the Day School for not attending the Church Sunday School. The Primitive Methodist Sunday School Room was opened in July 1881 – built by William Pickering for £90. 81 years later in 1962 a kitchen and toilet accommodation were added. The Banbury Primitive Methodist Circuit Plan for the July-September Quarter of 1870 includes the names of 3 Brailes Local Preachers – E Simms, G Clifton and J Boyce. By 1890 there were 9 Brailes Local Preachers – J Boyce, F Bryan, R Matthews, T Clifton, M Boyce, H Matthews, W Bradley, R Hawtin and W Burrows. They would often have to walk many miles to keep their Preaching Appointments in all weathers. Two of the preachers were women – Mrs J Boyce and Mrs H Matthews – the Primitive Methodist Connexion was the first branch of Methodism to encourage women to become Local Preachers. In 1906, Rev Alfred Bateson of Banbury was appointed Minister of the Brailes Chapel. He persuaded the Trustees to open a Fund to obtain an organ. He was the principal fund raiser and as well as collecting donations from the Circuit he obtained a grant of £50 from the Carnegie Organ Fund. The organ was purchased from Thomas Jackson of Oxford for £100 and installed in 1907. At the opening in 1907 the Chapel was full to hear an organ recital given by Professor O Sherman Marshall of Banbury with solos sung by Mrs Bateson. 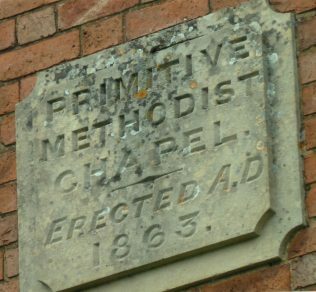 In 1932, Brailes Primitive Methodist Chapel became part of the Banbury Circuit of the Methodist Church. 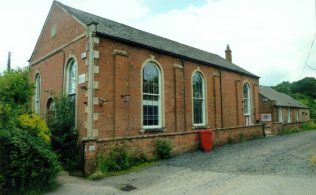 In Lower Brailes, the Wesleyan Methodist Chapel also became part of the Methodist Church but continued to belong to the former Chipping Norton Wesleyan Methodist Circuit. The Wesleyan Chapel sadly closed in the 1960s and even more sadly the former Primitive Methodist Chapel closed through lack of members in 2011. In the 1950s it boasted a Sunday School of more than 40 scholars that met twice on Sundays at 10.30am and 2.30pm under the leadership of Miss Alice M Matthews, Miss Marion Laflin, Mr Trevor Wilde [before he became a Local Preacher], Mr Edwin Boyce and Messrs David and Derrick Matthews. Later Miss Sylvia Painter was Sunday School Leader but when she resigned the Sunday School folded and the congregation subsequently declined. The Sunday School Anniversary each July attracted large congregations and was followed by the Sunday School Outing each August usually to Wicksteed Park at Kettering, the Dassett Hills or to Sutton Park near Birmingham. There was a resident Minister in Brailes in the 1950s. Among those remembered with great affection were the Rev James H Watson [Supernumerary Minister], Rev David A Clarkson who boarded with Mrs Alice Wiggins, Rev Reynolds J Le Page, Rev Robert Rowlands and Rev Peter Burnett. Circuit Ministers who came from Banbury in the 1950s, 60, 70s and 80s included Rev Walter Budd, Rev Ian H Field, Rev Ernest N Goodridge, [Grimsbury], Rev H Gregory Taylor, Rev Stanley M Weary, Rev John Hully and Rev Derek Softley.. Regular Local Preachers included Mr Albert H Cross [Brailes], Mr Victor Messer [Epwell], Mr W Soden [Epwell], Mr Ross Atkins [Greatworth], Mr Stanley Hollis [Woodford Halse], Mr Cyril Cross and Mr Peter Neale. There were also regular visits by students from Handsworth Methodist Ministers’ Training College in Birmingham, one of whom was Rev Stanley M Weary before he was stationed in the Banbury Circuit. Major Hills, a retired Salvation Army Officer who came to live in Brailes in the mid 1950s was a regular preacher for many years, as was Rev Eric Butler, a Supernumerary Minister who came to live in the former Wesleyan Methodist Chapel in Lower Brailes [ in Chipping Norton Circuit but closed in the early 1960s and converted into a dwelling house]. The best attended services were the annual Harvest Festival Services in October when the Chapel was always beautifully decorated and the scent of flowers and garden produce made the services extra special. After the Monday evening service the produce, other than tins and packets, was sold by auction by Mr W P Manley in his inimitable style. He always donated several bags of potatoes at the end of the auction to help swell the funds. After his death, his son, Mr William [Bill] H Manley auctioned the harvest gifts. Bill was also an accomplished “magician” who for many years enthralled the Sunday School scholars at their annual Christmas Party. Many families attended the Chapel in the 1950s. These included Mr William Percy Manley of Manor Farm, his wife Blanche, son William, and daughters Freda and Margaret; Mr Harold Matthews, the Village Bus Proprietor, his wife Corinne and sons David, Derrick, Martin, Paul, and daughter Christine; Mr Alan Painter, his wife and daughters Barbara, Sylvia and Joyce; Mr Trevor Wilde of Springfield Farm, his wife Phyllis and daughters Elizabeth and Judith; Mr Ernest Ratcliffe, his wife Olive May and sons Richard, Peter and Martin and daughter Jennifer; Mr Bill Gilkes of Chinslade Farm, his wife Irene, a former Land Girl who lodged with Mrs Ratcliffe in 1944-5, and their children Sheila, Colin and Steven; Mr Maurice Warmington, his wife Gwen and sons David and Graham. Mr and Mrs George Wilde and Mrs and Mrs William Wilde, New House Farm. Mrs Alice Wiggins, Mr Fred Hoare, Mr Arthur Spicer and Mr Bert Sisam were also regular attenders. The regular organists were Miss Marion Laflin, Miss Alice M Matthews and Mr Derrick Matthews. In the latter years Mrs Margaret Gibbs from Tysoe [ Kineton Circuit] regularly assisted. 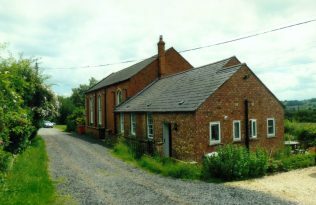 The Sunday School Room was extended in the early 1960s and a kitchen and modern toilets installed and was regularly used during the week by Girl Guides, Brownies and Playgroups while the kitchen was used by the local “Meals on Wheels” service. By 2010 the Chapel only had one service each Sunday at 11.00am and there was no Sunday School. Attendances had dropped to under 10 with and so the decision was taken by the remaining members, Mr and Mrs Foster, Mrs Barbara Manley and Mrs Vera Hibberd and the Circuit Meeting to close the Chapel. The final service was held on Sunday 22nd August 2010, conducted by Rev Dorothy Hewitson, Banbury Circuit Minister, assisted by Canon Nicholas Morgan, Vicar of St George’s Parish Church, Brailes. Written by Richard Ratcliffe from information in the Centenary Booklet and personal reminiscences from Peter Ratcliffe and Jennifer Sibley [nee Ratcliffe], Sunday School Scholars from 1946-1964. Accompanying photographs taken by Peter Ratcliffe in 2016. Edward Simms is my 4th great uncle. Thank you for this incredible information because I am also a preacher.